Björk may be at work with Arca on both a new record and remixes, but the Icelandic icon is looking back on one of their first collaborations with a new video for "Notget." 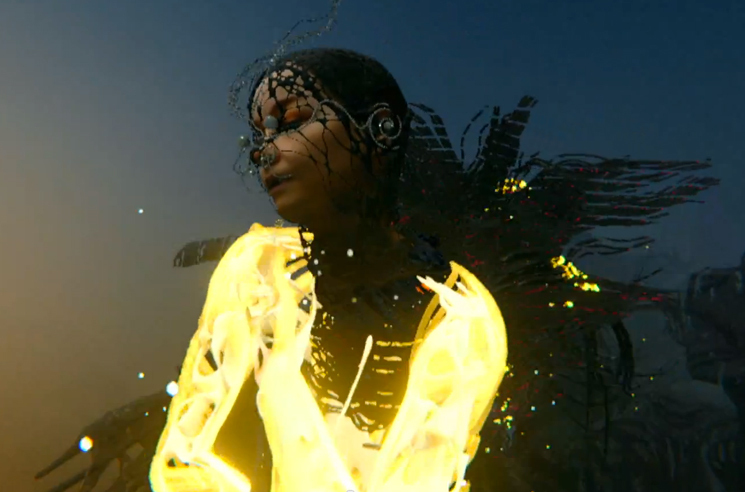 Directed by Warren Du Preez and Nick Thornton Jones, the clip for the Vulnicura cut finds an animated Björk moving gracefully through a darkened world, gradually illuminating her surroundings with a brilliant array of colour. Take in the clip in the player below.